Why do speakers of American English constantly recur to clichés? Not a moment goes by that one doesn’t hear “kick the can down the road,” “think out of the box,” or “low-hanging fruit” emanating from the mouths of speakers in the media, and this habit has now become cis-Atlantic, staining the speech of Brits as well as Americans. 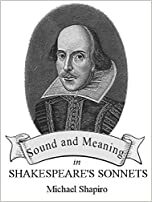 On one hand, of course, like all idioms (including proverbs) such locutions have an immediacy of meaning in the temporal as well as semantic sense that render them efficient and useful to expression, especially when a circumlocution would take more time and thought. The latter word is directly relevant because letzten Endes these clichés are invariably failures of thought (to one or another degree), and when characteristic of someone’s speech, they tend to lessen both the directness and the value of utterances that contain them. I don’t think that clichés are always necessarily “failures of thought” (isn’t this just quoted phrase as well as “would take more time and thought” at least near-clichés?) especially in spoken language and written messages intended to be succint where they can offer “shortcuts” to meaning when creativity and eloquence aren’t as important as getting some thought across quickly. Of course when, as you wrote, they become characteristic of someone’s speech pattern they not only represent a failure of thought but are downright irritating.